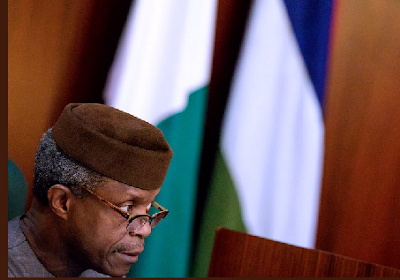 Vice-President Yemi Osinbajo says the federal government is working towards providing micro, small and medium enterprises (MSMEs) a credit facility of N2 million to N10 million without collateral. He made this disclosure at the maiden edition of the MSMEs Award 2018 held at the state house in Abuja on Wednesday. The award ceremony got over 300 nominations across the nation. Osinbajo launched the MSME Clinic in 2017 as part of efforts to encourage the contributions of MSMEs to Nigeria’s economic growth. The acting president said he was delighted to reward and recognise outstanding MSMEs as they represent remarkable examples of Nigerian entrepreneurship, creativity and innovation. According to him, efforts are underway to double the government’s commitment to ensuring that MSMEs find an enabling environment to thrive.